It’s back to school time for children in the United States! For families, this time of year brings with it shopping for new school clothes and shoes, backpacks and colorful supplies for the upcoming school year. Just like your family, the NPH family must ensure that our children have what they need to succeed academically. Unlike all of the other NPH homes, NPH Peru does not operate a school yet. Instead, NPH Peru children attend public school in San Vicente de Canete, the town where NPH is located. For children in the NPH family, school registration is typically free, but NPH is responsible for providing school uniforms (shirts, pants or skirts, sweaters, and shoes), athletic uniforms and shoes, and school supplies (e.g. pencils, pens, erasers, glue, scissors, notebooks, paper, color paper, etc.) for all of our children. In addition to these educational expenses, NPH Peru employs a special education teacher who implements individual and group therapies for our children who have fallen behind in school or are experiencing learning challenges. These therapies help our children, who may not have attended school or attended infrequently before arriving at NPH, to overcome learning challenges and catch up with their peers. NPH Peru’s 2018 academic year budget totals $19,704. To date, $18,090 has been secured, and $1,614 still needs to be raised. Thank you for your donation that will help us to ensure that our Peruvian children have the resources they need to finish their school year strong. 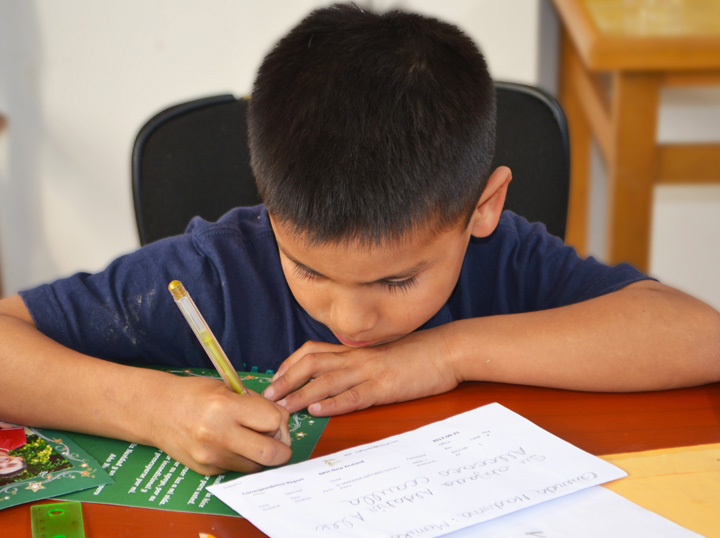 Please make a tax-deductible donation of any amount to support education at NPH Peru.